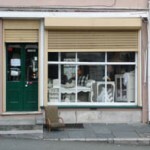 There are many Plymouth antiques shops, but one of the features of Millbridge is that there are a group of antiques shops close together specialising in furniture, soft furnishings and many other types of collectible objects. These include Annterior, Interior Motives with its two shops, Fires from a Pastime, and for old furniture with a ‘shabby but chic’ look, Tillys. Most other Plymouth antique shops are found on their own around the city apart from in the Barbican where several are located near each other. 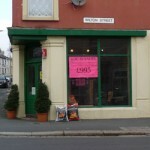 One of the longest established antique shops in Plymouth. If it is furniture that you are looking for, then there will certainly be something here to catch your eye. Stripped pine pieces and some that have been repainted in a ‘shabby-chic’ style are available at very reasonable prices. Whether it is a period look you are after, or you prefer a more contemporary style, Annterior has a wide range of fabrics to suit every taste. Interior Motives have two Plymouth antiques shops, both about ten metres from each other at Millbridge. 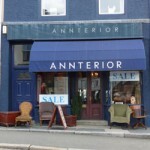 Together they stock a great range of antique decorative items and furniture. Some of the furniture is exceptional and available at very reasonable prices. With two shops, there is plenty of space for you to find the exact pieces that you are looking for. They also stock a range of fabrics so that if you need an item to be re-covered it can be done in the right fabric to suit your room. Fires from a pastime is a dedicated specialist supplier and restorer of period fireplaces, with years of experience and a great deal of specialist local knowledge including all types of fire and surround. They have a good range of period fireplaces always in stock offer a standard range of pine surrounds made in their own workshops. Fire surrounds can also be custom made to your specific design. Stock changes daily, so if you do not find what you want on the first visit, you may on the second! There is also a comprehensive fitting service available.